If you’ve been following me on Twitter, you would know that I am incredibly obsessed with Stardew Valley. If you’re not familiar with it, it’s basically an RPG where you farm to your heart’s content, stab monsters, and stalk romance your village love-interest. This is completely normal behavior! But honestly, the greatest thing to me is cooking. If a game has cooking in it, I get pretty hyped. 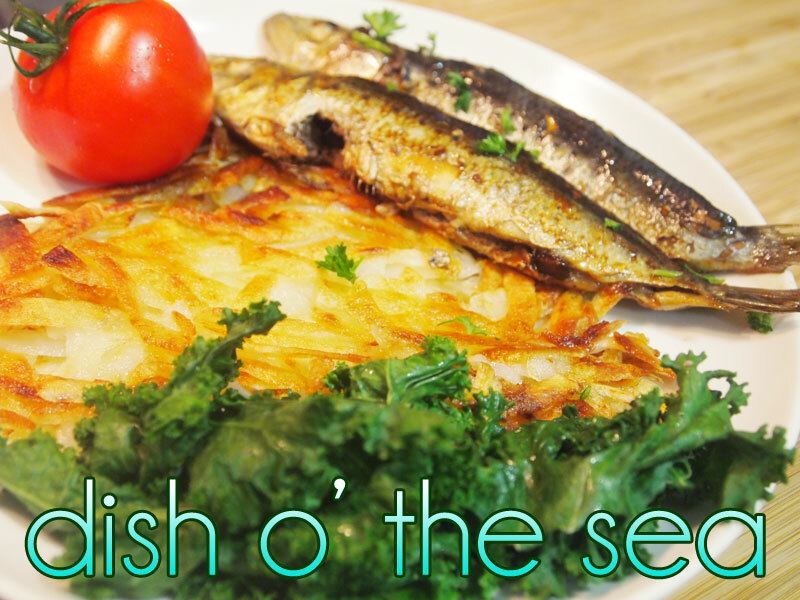 One of the recipes that caught my eye was Dish O’ The Sea. It just sounded so tasty, so I just had to make it! Are you staring at a TV again, Seb? It’s lunch time, dude. 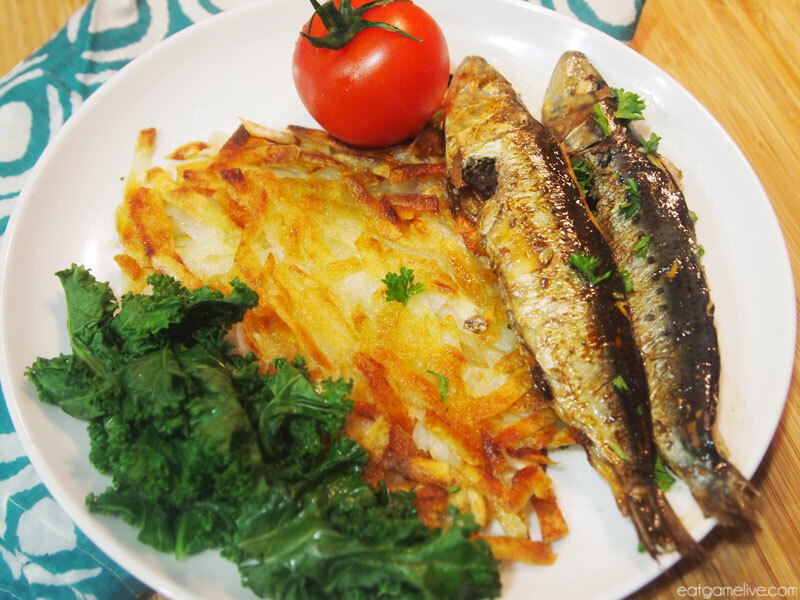 The original recipe calls for just sardines and hash browns, however, the art seems to have more on the plate than just that. I assumed that this dish would also feature kale and tomatoes since both of those things are crops that can be grown on your farm. Prep time for this meal is about 30 minutes. Cook time is about 25 minutes. This makes 2 servings. Take your potato and grate it. Fill a bowl with cold water and place the grated potato into the water. This will draw out some of the starch. Let the potatoes sit in the water for about 15 minutes. Drain the water and squeeze any excess water out of the potatoes. Allow it to dry on a paper towel. Heat a pan on medium heat. Add in 1 tablespoon of olive oil. 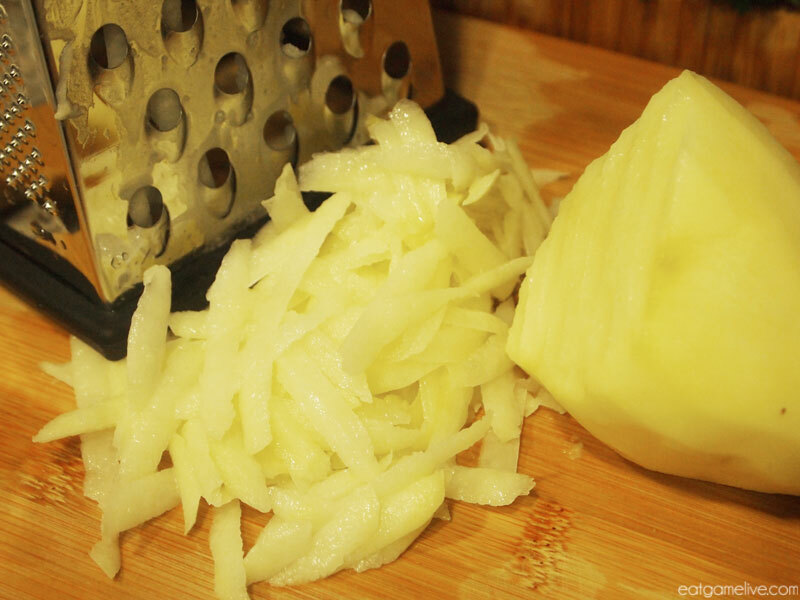 Take one half of your grated potatoes and place them in the pan. Squish down the pile of potatoes to form your hash browns. Season with salt and pepper. Let cook for ~5 minutes and then flip and cook for another 5 minutes, or until golden brown. Repeat this step for your remaining potatoes. 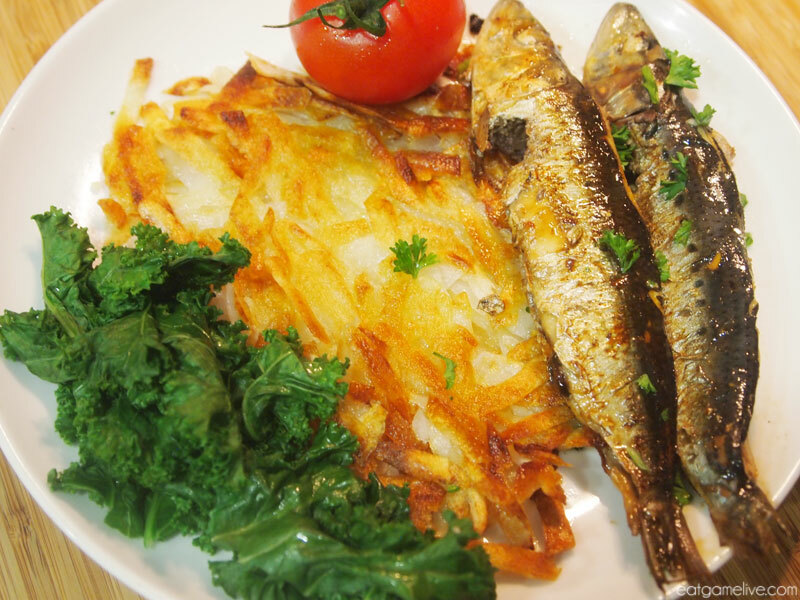 While your hash browns cook, steam your kale and cherry tomatoes. You can either do this over boiling water, or using a microwave steamer (which I used). Season your kale with salt, pepper and 1/2 juice of lemon once done. Using a damp towel, wipe away any access hash browns from the pan. Set the pan on medium-high heat and add 1 tablespoon of oil. When the pan comes to heat, add in your chopped garlic and saute. 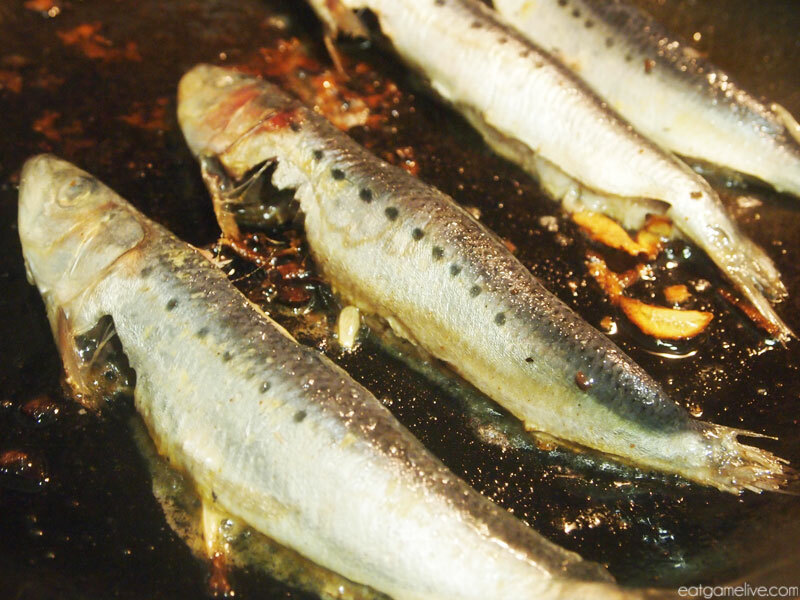 Season your sardines with salt and pepper. Add in your sardines. Allow them to cook for about 2.5 minutes on each side. Add in the remaining 1/2 lemon juice to your pan. 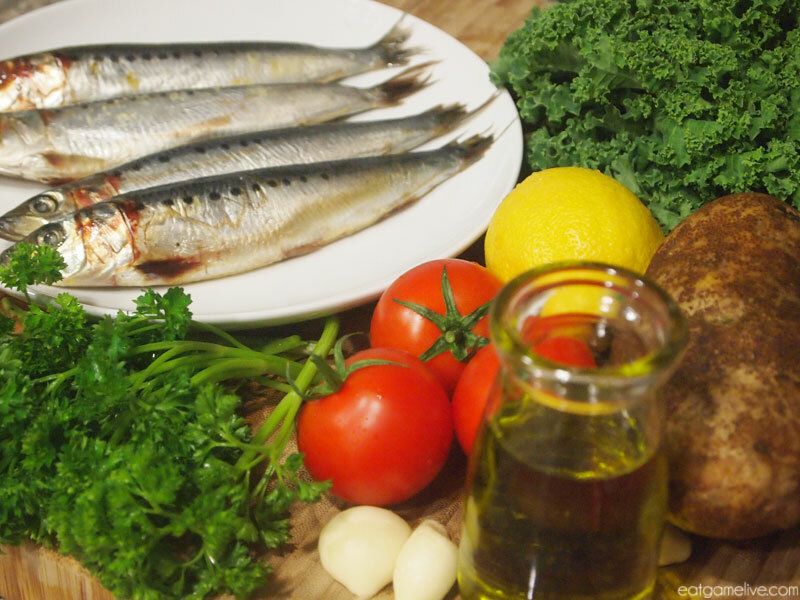 Remove the sardines from the heat and begin plating your dish. (OPTIONAL): Sprinkle chopped parsley over your fish. Now you have a delicious meal that will get you prepared for a day’s worth of fishing! Hooray! 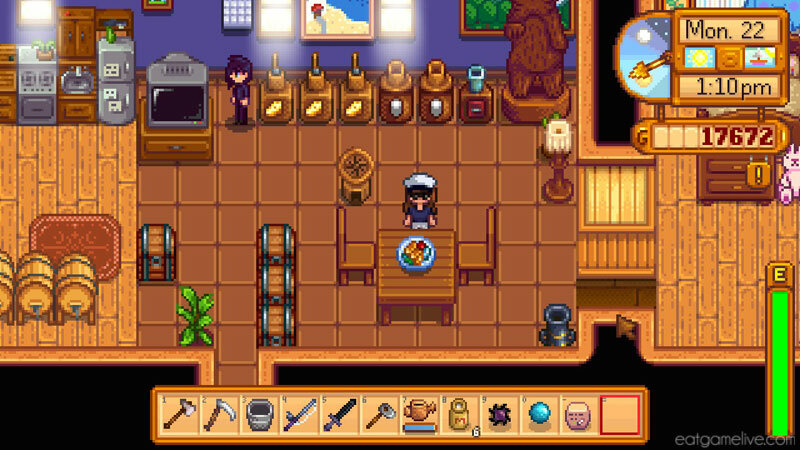 This entry was posted in stardew valley and tagged gaming food, hash browns, sardines, stardew valley by admin. Bookmark the permalink.